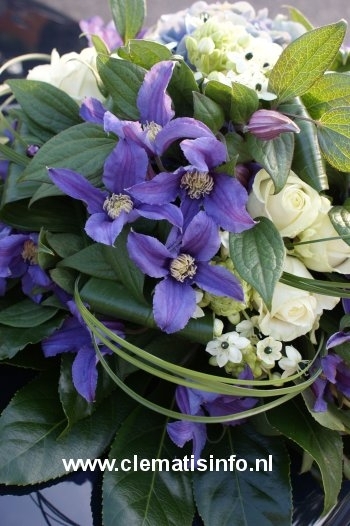 Some of our cultivars are also available as cut flower. 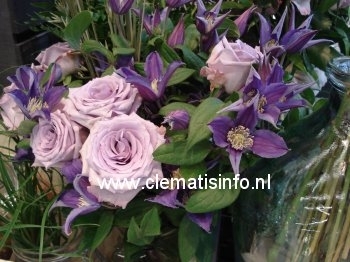 These cut flowers are grown in Africa and auctioned by Marginpar at Flora Holland. 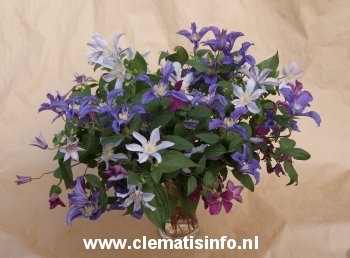 In 2006 Clematis AMAZING®™ BLUE PIROUETTE came on the market as our first Clematis cut flower, followed by Clematis AMAZING®™ INSPIRATION in 2011 and Clematis AMAZING®™ STAR RIVER in 2012. 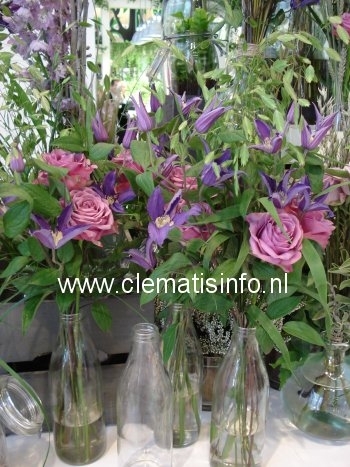 The latter was awarded with the Glass Tulip Award from Flora Holland in 2014. 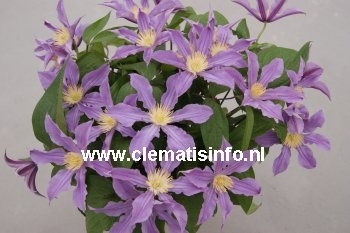 In spring 2015 Clematis AMAZING®™ LONDON was introduced at Country Living Fair in London. Later that year AMAZING®™ OSLO was introduced followed by AMAZING®™ TORONTO in early 2016. 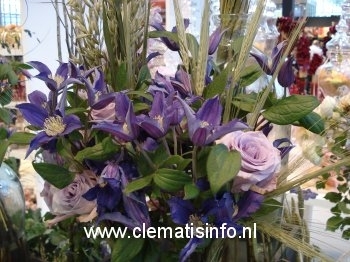 - After purchasing cut the stems with a sharp knife and put the stems directly into water. - Make sure that no leaves are in the water, this will make the water dirty. - Make sure the vase is very clean to prevent algae growth, particularly so for vases made by transparant glass. 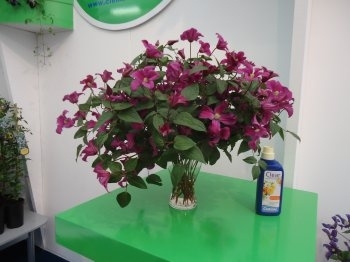 Always clean the vase with bleach or detergent. 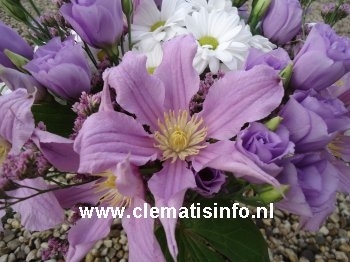 - Add cut flower food attached to the water, recommended is Chrysal CLEAR CUT UNIVERSAL FOOD, other types of cut flower food can have a negative effect on Clematis. 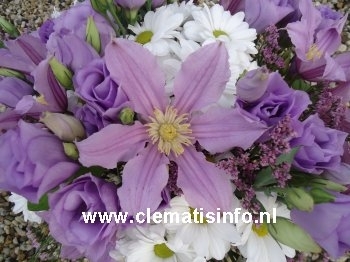 - Place the vase as light as possible but not in direct sunlight. 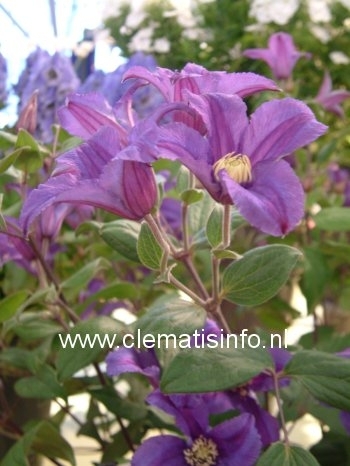 - Clematis last best in a cool place. If the vase will be placed in a warm room, put the vase 24 hours in a cool place first. - The average life span is around 10-12 days. In a warm or dark environment, the life span will be shorter, in a cool and light room the flowering stems can last up to 3 weeks. 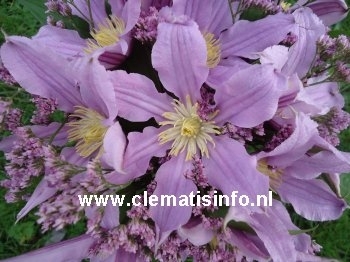 - Clematis cut flower has the possibility that the flowers and flower buds will turn upright again when the branch is used horizonatlly. Most flowers can not do that. 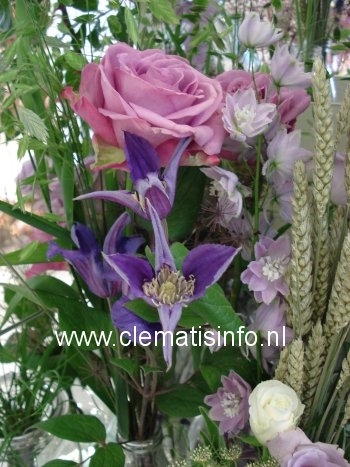 - General wilting: incorrect cut flower food. Chance the water and put Chrysal CLEAR in the water and cut the stems again with a sharp knife. - Flowers wilt: Cause, probably dirty water and / or a dirty vase. Clean the vase with bleach and cut the branches again. - Flower buds do not open: Cause, the vase is probably in a too warm room. Cut the stems again and put the vase in a cool place so that the stems can absorb water first. 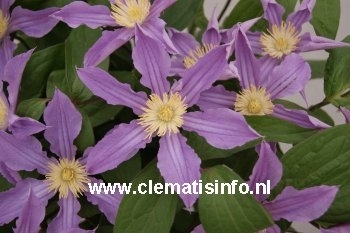 IMPORTANT: The Clematis cultivars shown on this website are in commercial production by J. van Zoest B.V. 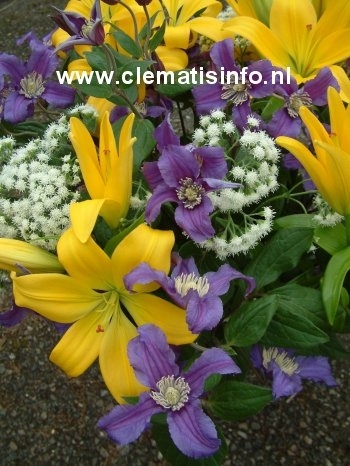 The names, pictures and descriptions of the cultivars are listed solely for the purpose of information. The pictures are subject of copyrights, owned by J. van Zoest B.V. 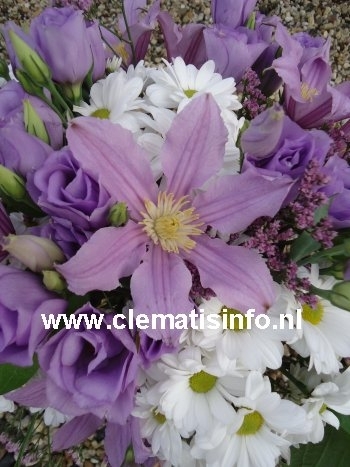 The cultivars introduced by J. van Zoest B.V. are protected by Plant Breeders Right or Plant Patent or applications are filed for this protection and/or with Trade Mark. 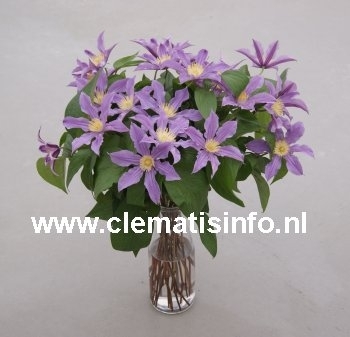 Without the explicit permission of the holder (J. van Zoest Beheer B.V.) it is not allowed to propagated and/or multiplicate these cultivars and/or to trade as cutflower.